Juliette St. Clair of Rockland, foreground, is in line to register to vote for the first time at the Democratic caucus in the city. St. Clair she came to the caucus to support Vermont Sen. Bernie Sanders. She said she really likes that he stands for and what he believes in. AUGUSTA, Maine — Leading Democratic and Republican state senators said Monday that turnout at the state’s major party caucuses over the weekend was so strong it shows Maine should become a primary state — with voters from both parties casting their ballots on a single day. The switch would cost the state money in the form of an additional statewide Election Day every four years, but supporters say it would give Maine voters a stronger voice on the national stage. Maine Senate Minority Leader Justin Alfond, D-Portland, introduced the legislation Monday during a news conference. He said his proposal would allow voters registered in the Democratic, Republican and Green Independent parties to participate in presidential primaries. Unenrolled voters would not be allowed to take part in a primary, as is the case in neighboring New Hampshire. Senate President Mike Thibodeau, R-Winterport, quickly endorsed the idea. Maine switched from a primary to caucus for party presidential nominations after 2000. Efforts since then to revive a primary system died in the Legislature, largely because a primary would cost state government money. The parties pay for caucuses. Some Maine political observers on Twitter suggested Monday that if Maine moves to a primary day system, it should hold voting on a weekend to guarantee all who want to participate can. Thibodeau said whether or not the Legislature is able to move forward on a bill, it’s still important to get the conversation started. A primary would cost money, Thibodeau said, but based on the long lines and the waiting that both Democrats and Republicans endured during the past weekend, he believes it would be worth it. Finding a way to make it possible for a lot more people to participate in the political process is a good problem to have, Thibodeau said. Thibodeau said Alfond is right in offering the bill, which is similar to a bill that was offered by former Senate President Kevin Raye, R-Perry, in 2012. Offering statewide polling locations would vastly expand access, both Alfond and Thibodeau said. Party leaders in the Maine House also seemed poised to embrace Alfond’s bill Monday, as House Minority Leader Ken Fredette, R-Newport, offered his support for exploring legislation that could lead to a presidential primary for Maine. Later Monday, House Majority Leader Jeff McCabe of Skowhegan also endorsed the idea. Alfond’s proposal must receive approval from the Legislative Council, a 10-person leadership group of which he, Thibodeau, McCabe and Fredette are members. If it clears that hurdle, it would go to a legislative committee for hearings and a recommendation. For context, the Maine Republican Party said about 18,600 people voted in Saturday’s caucus. That represents just less than 7 percent of the 263,735 registered Republicans in Maine as of September 2015. 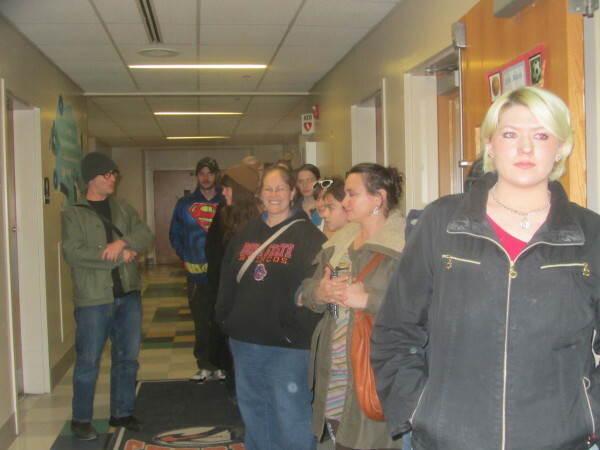 The Maine Democratic Party said more than 48,000 people participated in Sunday’s caucuses. That represents slightly more than 15 percent of the 307,881 registered Democrats in Maine as of September 2015, according to the Maine secretary of state.